Not a bad flight across the ocean at all. Took about 8.5 hours. Business class allows individual seats that can fully recline, so there is lots of room and a little bit of privacy. Watched Admission with Tina Fey. Cute flick. Reclined after the “dinner and a movie,” and I slept about 2 hours. Even though lying flat, it was hard on the knees and hips, and even with earplugs and eye covers, it was difficult to sleep. 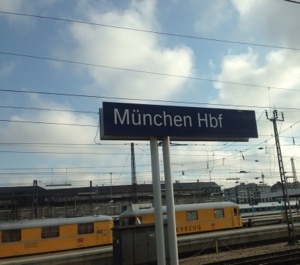 I finally got up and started my day, about 3.5 hours out of Munich (probably about 4:30a Munich time). Jack was also awake so we decided to watch Anna Karenina. I really liked it, but Jack had some issues with the unusual staging. Breakfast service started about 1.5 hours out of Munich, and the coffee helped start my engines. I’ve got to say, the Delta folks were superb customer service peeps. They were helpful, prompt, capable, cheerful, and watchful. The lead flight attendant went to every person in the business class area and thanked each of us for being there. Landed in Munich around 7:30a local time, at about 55 degrees. No long lines through passport control, and the bags came up pretty quickly (and without damage, thank goodness). 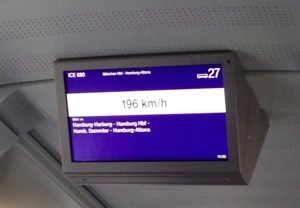 We muddled our way to the central airport area (extraordinarily busy place) where we found the Deutsch Bahn folks to validate our rail passes, and we booked a couple of seats on the 9a ICE train to Hamburg. Had to take the S-Bahn (subway) to Munich’s Hauptbahnhof (central rail station) to catch the ICE. We had a bit of confusion trying to find car 27, and at last figured out that the train will split somewhere along the way, so we had to be careful which end we boarded. Finally found our reserved seats (8 euros), and settled in for the 6-hour ride at about 120-140 mph. 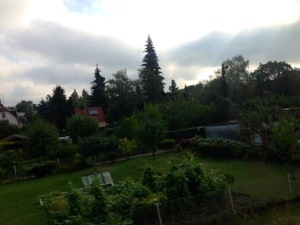 I managed to get some sleep on the train, and awoke to watch the scenery change from relatively flat in the Munich area to hilly nearer Hamburg. We saw lots of wind generators and many roofs totally covered in solar panels. 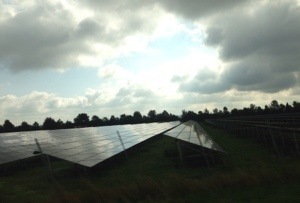 There were even entire fields filled with solar. Finally made it to Hamburg Hauptbahnhof. Wandered around the entire train station (it felt soooo good to just stretch our legs a bit!) before finally finding the Hotel Graf Moltke Novum, our bed for the night. 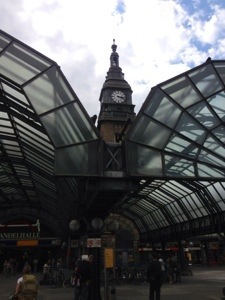 Again, before leaving the BahnHof, we arranged our final train leg to Malmo, Sweden. It leaves at 7:20a, but we’re not far, and breakfast shouldn’t be any issue before we take another 6-hour train ride. At least tomorrow, we won’t be so jet-lagged, and we shall be headed nearer and nearer the coast.